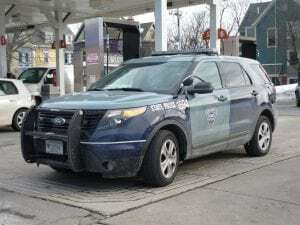 New Windsor, NY (April 7, 2019) – Around 3:45 p.m. on Thursday, in a parking lot on Route 9W, a pedestrian accident took place that led to serious injuries. After the vehicle and pedestrian collided, emergency units were called to the scene, where they found the 35-year-old man unconscious with breathing problems and a laceration to his head. Video footage was taken that showed the man stumbling in the parking lot. He was in one area of the lot when the vehicle drove through and struck him. The driver mentioned that they did not see the pedestrian. A landing zone was established in the area and the unidentified pedestrian was flown to the hospital. The New Windsor Police Accident Investigation Unit and detectives are still trying to piece together the circumstances of the accident. There has been no further update on the pedestrian’s condition. Our most genuine sympathies are fully extended to the victim of this accident, with the hopes that he will receive a full recovery from his injuries. Pedestrians in New York have many challenges as they navigate our roads, especially because so many cities are packed full of drivers and some will not watch out for the wellbeing of others. Moving forward, you might have questions about your significant rights in this accident and how you can gain the compensation you deserve. Our attorneys at Hach & Rose have dedicated their lives in full to those who have been negatively impacted by these serious accidents. We realize that there is nothing quite as challenging as a sudden injury from an unexpected pedestrian accident. If you have been injured you have rights, so please contact us for more information at 212-779-0057.